Our days are filled with the usual necessities (homeschooling, hauling 20 lbs of ice for the ice box, groceries, laundry, dishes, other errands). The boys are swimming every day and getting better. We sometimes bike to the beach to look for shells. 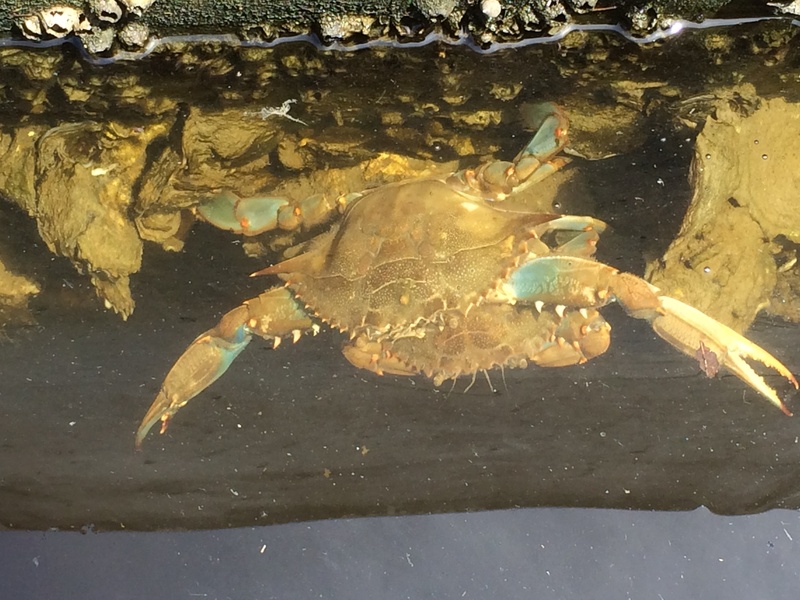 We saw an adorable sea turtle and a large blue crab in the marina. Last weekend, Matt took the boys to see his mom about 3 hours south so I had a blissful few days of quiet all to myself. I’m not sure I spoke to another human being the whole time they were gone. Then it was just me with the boys while Matt drove up to Atlanta, GA with his mom to attend a military memorial service for his grandfather. After doing school, chores, some swimming and lots of errands, we went to the library. 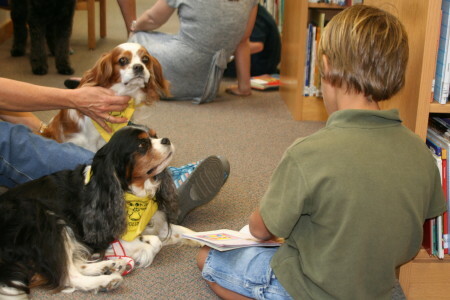 I had signed Joshua up for a program called PAWS where beginning readers sit and read to dogs. This entry was posted in Uncategorized on April 12, 2014 by Diane.